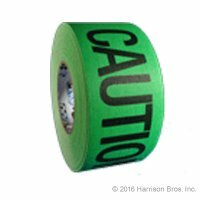 Cloth tape printed with "CAUTION CABLE" legend. Made from cotton gaffers tape. Synthetic rubber adhesive leaves no residue.